Jesus Green Pool – An Evening of ideas. On 22nd January this year I attended with about 25 others An Evening of Ideas for Jesus Green Pool organised by Better & The Council at the Wesley Church. 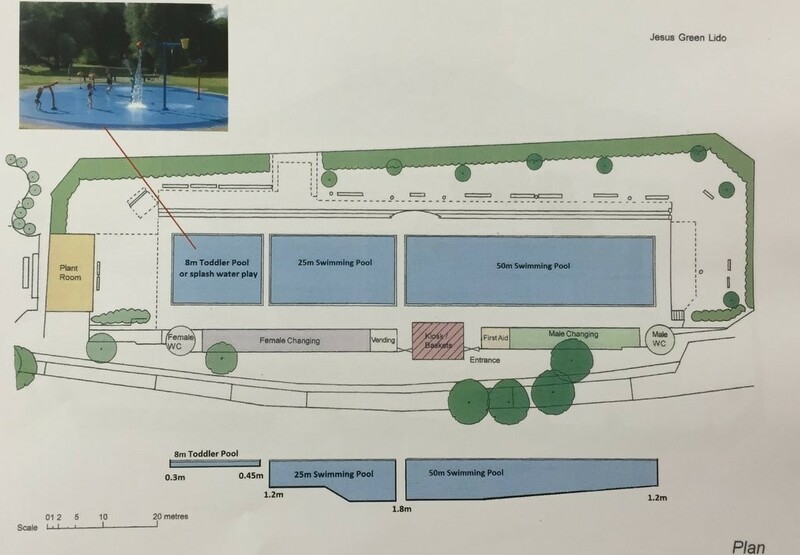 Proposals were handed out all with the theme of dividing the existing 100 yard pool into three. Giving a 50 metre unheated pool, a 25 metre pool (could be heated?) and a kids 10 metre wet area (fountains, pool etc.) 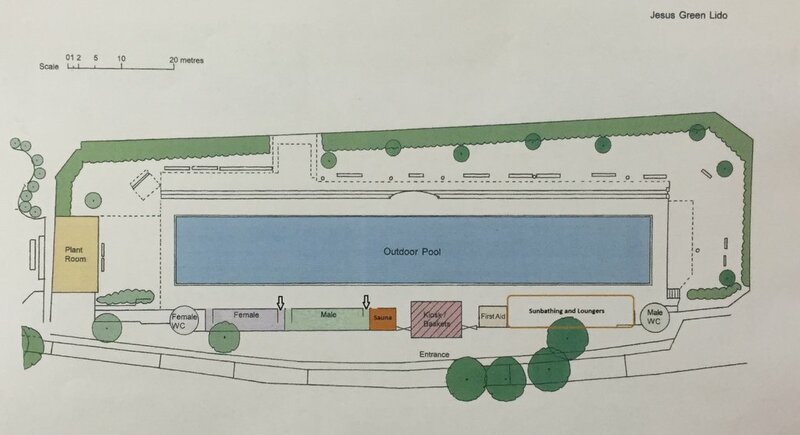 Other ideas floated were moving the entrance to the lock keepers end with maybe an integrated cafe / fitness area. Other ideas were a sauna etc etc. This entry was posted in News on January 22, 2015 by GJ.